Later this week I’m excited to depart on a trip to South America. First I will stop in Montevideo, Uruguay, to meet with Percona’s team out there as well as to participate in our next Percona University event on April 29. FISL12 -- Open Source show with Music and Dancing in Brazil. Not so long ago, it was easy to judge a technical conference by the number of small screwdrivers1 you picked up as swag from the show. Open source shows usually have similar elements in common with each other like someone in a penguin costume, at least one guy in a kilt2, piles of Linux distro CDROMs, and bonus points for either Mad Dog or Linus in person. Last week I was in Porto Alegre, Brazil for FISL where they had all that plus folk songs and dancing3. They really raised the bar for open source shows. Received a "certificate of attendance as speaker" for recently concluded FISL 10. This is sweet, thanks FISL organizers! It certainly adds a personal touch to the whole experience. This year, the International Free Software Forum celebrated its 10th anniversary. It happened last week in Porto Alegre. 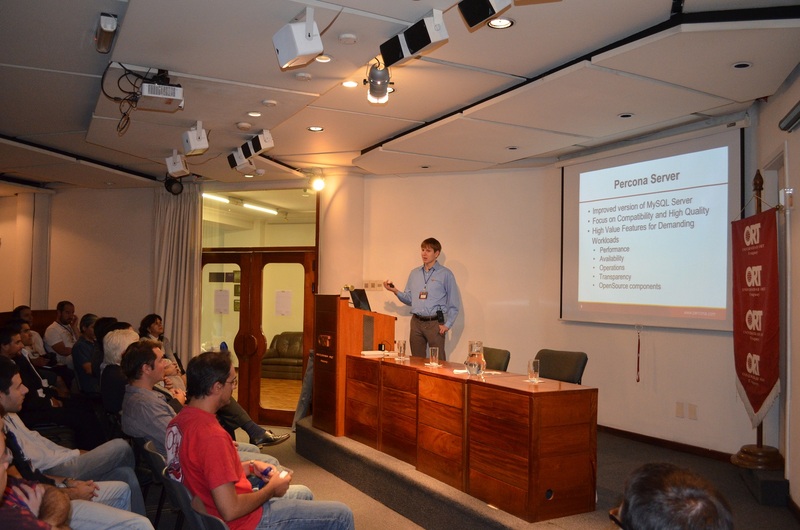 Pythian presented a session on Thursday called 8 Rules for Designing More Secure Applications with MySQL. As promised, here are the slides we used on that session: 8 Simple Rules to Design Secure Apps with MySQL (PDF).